The quality of your corn silage in the field is critical to the quality of feed you’ll have available in the coming year. 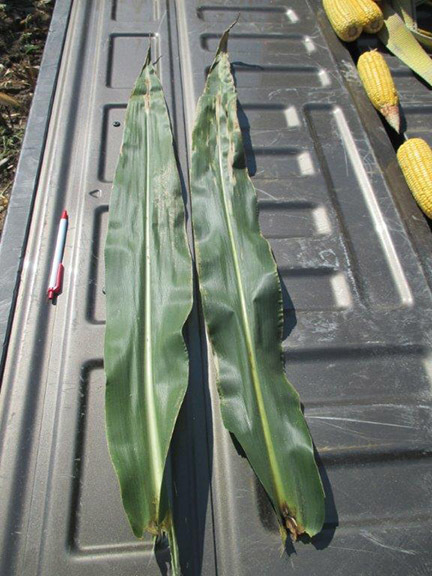 Foliar diseases can compromise plant health and yield. The challenge is determining when diseases warrant the time and cost of foliar fungicide treatment. But when is an application warranted and is it worth the time and money to apply in-season foliar fungicides? We did the research and found applying a foliar fungicide helps preserve the nutrient quality of corn silage and protects plant integrity from foliar diseases like gray leaf spot, northern corn leaf blight, eyespot or anthracnose stalk rots. 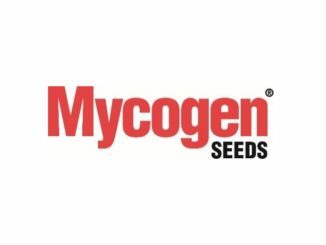 Mycogen Seeds’ 2015 trial examined the impact of foliar fungicide application on corn silage yield and quality. 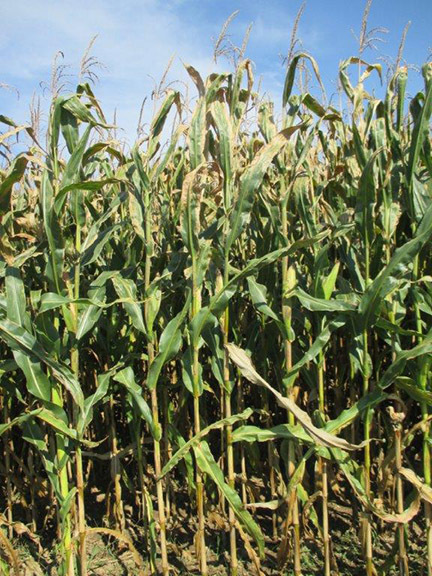 The trial primarily evaluated fungicide effectiveness on brown midrib (BMR) corn silage hybrids. During the trial, fungal diseases were prevalent in Wisconsin. 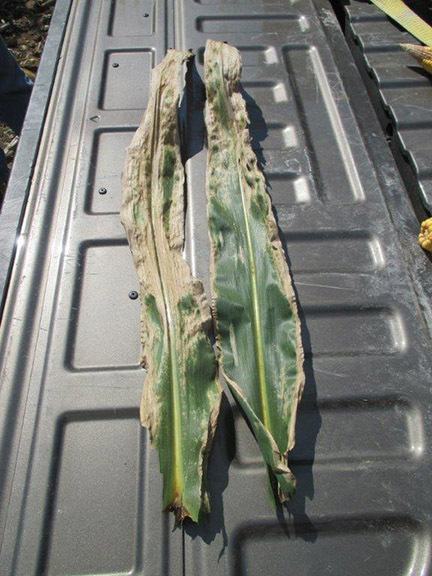 Northern corn leaf blight, eyespot and other leaf pathogens were present in many areas. Stalk rot was also identified early in the season and found in lower stalks at harvest. Trial results showed fields treated with fungicide had significantly higher yield than untreated fields. The largest yield advantage was in the VT to R2 treatment group, which produced 1.72 tons more per acre than the control group. Not only was yield higher in treated fields but also the trial analysis showed that for every dollar spent on fungicide application, farmers could realize a nearly $80 return over the cost of fungicide when applied between VT and R2. Silage values figured at $55/ton. No application cost is figured in this analysis. The findings show the clear advantage of a fungicide application in preserving plant health and protecting against fungal pathogens. How should you apply trial findings to your farm’s crop management? 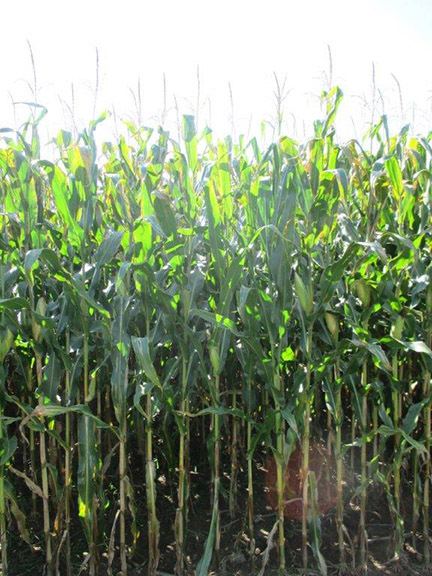 Here are some steps to take when considering fungicide application on your corn silage crop. Evaluate field history. Regularly scout your fields and determine the locations most susceptible to disease. Many foliar pathogens survive in corn residue on soil surfaces, and disease risk increases for fields planted to corn year after year. Monitor weather patterns. Increased rain and humidity create the perfect environment for thriving foliar diseases. Continuous cloud cover and extended dew periods of at least 12 hours will speed the disease’s spread. Scout fields before tasseling. 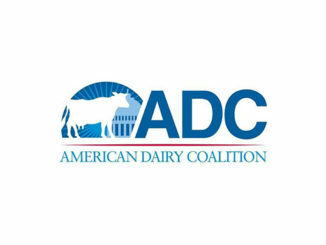 Get in the field to identify any diseases present and determine the severity. For gray leaf spot or northern corn leaf blight, you can estimate the severity by counting the number of infected plants as a percentage of the total number of plants assessed. Determine your fungicide use. If at least 50 percent of your plants show signs of foliar diseases, consider using a fungicide to protect from further loss of quality and yield. Consult with your local agronomist to factor in environment conditions and plant development to get the most out of your fungicide investments. 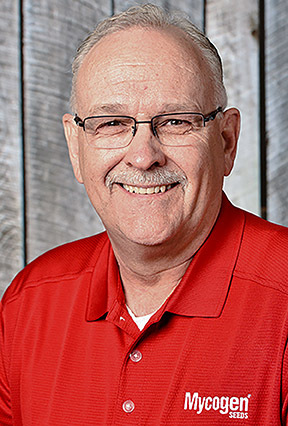 Consult your local agronomist to scout fields, review disease pressures and build an action plan to manage foliar diseases and grow a high-quality corn silage crop this season.